Is your UPVC door jammed shut or sticking? Need new hinges? Or has the lock failed or jammed shut? Need a lock change? Or upgrade in door and window security? Looking for a lock repair to your window or door locks? Looking for additional security or perhaps an upgrade? A.L.S. Locksmith Glasgow and Dumbarton specialists in UPVC door and window double glazing repairs. A.L.S. is a family run independent locksmith and double glazing repairs specialist. A.L.S. only carry out domestic work and do not carry out any work for the commercial sector. Unlike the nationals we don't charge hourly rates or vat. There's no call centres, so when you call you'll speak directly with the locksmith (ask for Steve). A.L.S. try to carry out repairs to doors and windows as quickly as possible. This minimizes any disruption to our customers. The majority of UPVC double glazing repairs and lock work are completed in one visit. We know you're busy, so we go out of our way to make sure our services are designed to fit even the busiest of schedules. We're a lot cheaper than the big companies and we DON'T charge vat. Our UPVC door double glazing repairs come with a years guarantee. All our work is completed to the highest standard and because of this every job is finished to give you peace of mind that your UPVC door or new lock will go the distance and save you on the cost of replacing them in the future. We take pride in what we do. All our UPVC door and double glazing repairs are carried out to the highest standards. If your door has the right level of security required by your insurance provider we'll tell you. A.L.S. Locksmith maintain an honest approach to the service we offer and don't just fit locks to earn more business. We are not trying to sell new doors or windows. We don't fit them - we only carry out the repairs. If the door or window is jammed shut we can open it without causing damage to the unit. If the parts are obsolete we can source updated versions or alternatives that will do the same job or offer better security. A.L.S. will carry out the UPVC door and double glazing repairs or lock work but also fix the reason why failed in the first place. This will save you money in the long run. A.L.S. Locksmith Glasgow and Dumbarton offer a twelve month guarantee on all locks and mechanisms that we supply and fit. We are fully insured with AXA. A.L.S. Locksmith Glasgow and Dumbarton carry and are authorized to use a chip and pin card terminal that accepts Visa, Mastercard and Debit cards. Members of Trustwave. A.L.S. locksmiths provide a fully mobile lock service on your doorstep. We provide our customers with a fast, efficient and friendly service. We cover work in and around Glasgow, Paisley and East and West Dunbartonshire. As a family run business we don't charge a callout fee, hourly rates or vat. No call centres. Call today for a free quote. We can change & repair different types of locks and specialize in UPVC door lock repair. We repair failed multipoint locking mechaisms, upgrade locking systems and even retrofit old discontinued systems to your doors and windows. If you have a UPVC, composite or aluminium door and are concerned about your security we can help. We can provide anti bump and snap secure cylinders to boost your external door security. There are many types of problems associated with door locking systems from poor alignment, faulty locks and jammed doors. If your door has jammed shut we can open the door without damaging it and replace the lock. If you have just moved home and need a lock change we can help. We can change and upgrade your locks to meet your insurance standards giving you peace of mind and a safer secure home. If your window doesn't operate properly, be if a faulty mechanism, window hitting the frame, jammed window, broken handle or damaged hinges we can help. If you are unfortunate enough to get burgled let A.L.S. 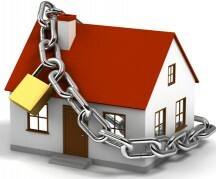 Locksmiths secure your home. If you need to change or repair your locks, repair your doors or windows or secure your property we can help. Try to avoid being a victim to lock snapping by fitting snap safe locks to your UPVC, composite or aluminum doors. If in any doubt please call and we will be happy to advise. Thieves often target rear windows as an entry point, fit a lock to your gate securing your garden keeping the burgler out. Repair damaged & broken locks. Lock upgrades to doors and windows. Insurance approved locks supplied and fitted.